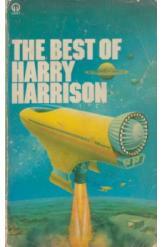 The Best of Harry Harrison, Sci Fi. Book is in good condition, all pages intact. A collection of short stories by science fiction adventure author Harry Harrison. Includes "The Streets of Ashkelon," "Rescue Operation," "The Wicked Flee," and eighteen others.